isn't this like most of us?? I LOVE that it takes very little to grow them, as well. maintain a garden - lol. full of color and warmth, like she is! HERE is what I came up with, what do you think? Have you SEEN our New 5/8"
Vanilla Flower Trim (Spring Mini)?!?! WOW!! 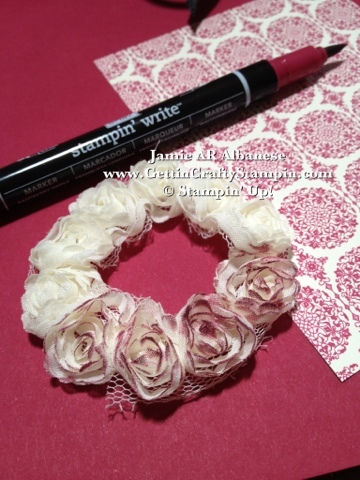 With many uses - from using one flower to a line or like this creating a RING of Flowers! 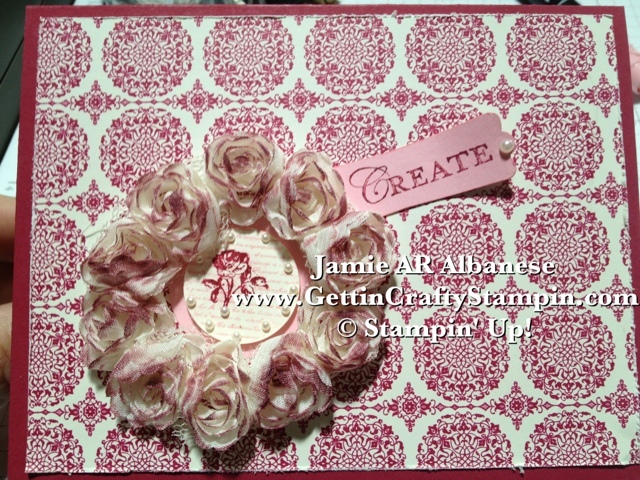 The Shaker Frames, are a great adhesive and create a perfect wreath of roses! 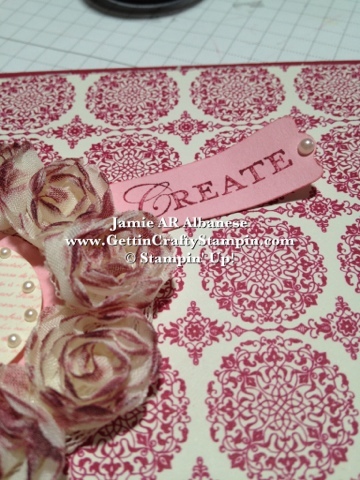 I like that the Shaker Frame creates this wreath and the Print Poetry Designer Series Paper Stack (Spring Mini) has a vast variety to use, different styles and colors... this being one of the pages! 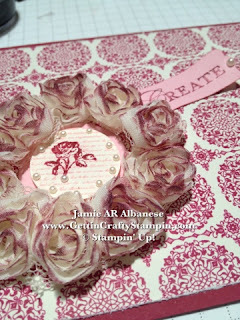 The Raspberry Ripple pattern and how the scrolled circles embrace the wreath is ideal. (according to the Color Coach) to Raspberry Ripple. Layering the circle scrolled text under the Rose. 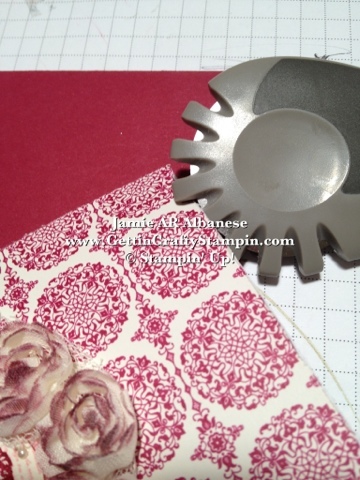 The 1" circle punch fits the Collage Curios collection perfectly. Here it is now framed by the wreath. Adding the Pearls Basic Jewels to surround is a sweet addition, like a wreath in a wreath, warm and luxurious. 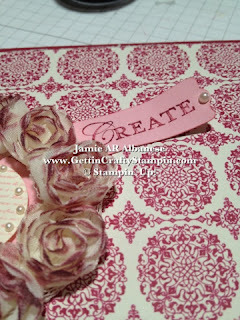 Loving Thoughts is a wonderful greeting stamp set and this lovely script fits the feel of the card! doubly blessed to have her as my downline! simple technique that says sooo much!